Before being a regulatory reporting document, the Bilan Carbone remains before all a process. Indeed, it encompasses both an fairly accurate Greenhouse gas emissions assessment but also a plan to reduce those emissions. It also assesses the impact of a carbon tax or an increase in hydrocarbons and its derivatives on the company. In general, a Bilan Carbone® is considered to be structured around 6 main stages. During this phase, the Bilan Carbone® approach is presented to the principal stakeholders of the entity. The issues of climate change, the possible impacts on the studied structure are discussed. 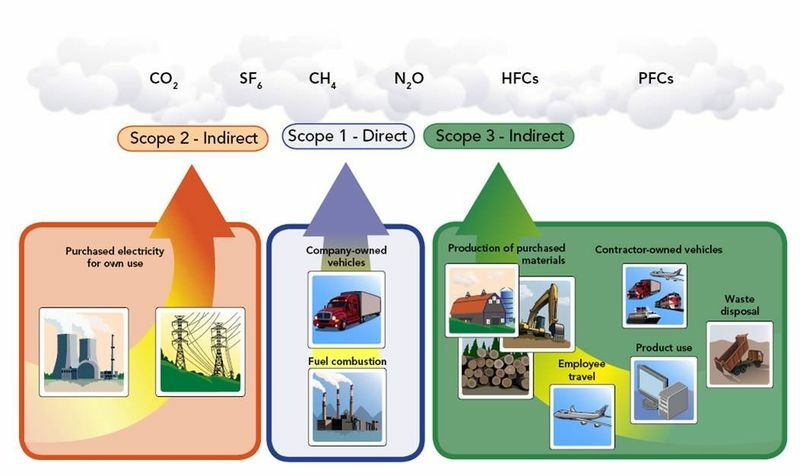 In general, it is at the end of this stage that a person is designated as the entry point for the Greenhouse gases assessment in the structure. This step involves internal resources to the structure, holding relevant information to carry out the Carbon footprint assessment, as well as third-party resources (suppliers, partners, etc.) that may need to be involved. The contractor – which has to be licensed by the public body ADEME-ABC – then processes all the data according to the methodologies and tools validated by the authorities. It carries out all calculations and valuations of greenhouse gas emissions. It is a question of presenting in detail the emissions of greenhouse gases evaluated for all the activities of the structure, to zoom in on the most emitting stations or sub-entities and processes. Economic simulations can also be put in place to assess the structure’s exposure to possible carbon taxes and to the direct and indirect impacts of fluctuating hydrocarbon prices. A reduction plan is prepared to prepare for the emissions reduction in the short, medium and long term. Financial evaluations can accompany this step which plays a structuring role in the setup of a proper carbon management strategy. Ideally, a leader for the entire improvement plan is designated at this stage within the structure. This is the handover phase between the contractor and the company. It is generally recommended to carry out an internal communication plan during this stage to sensitize the employees of the structure both to the assessments results but also to the action plans implemented. It is generally the best time to start to follow in a structured way a set of key indicators related to smart actions dedicated to the emissions improvement project. These “Bilan Carbone®” indicators ideally become indicators of the manager’s scorecard.